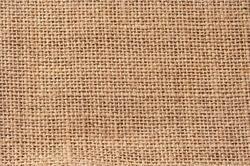 We are Manufacturer & Exporter of Jute Sheets. Besides being used for packaging, our range of Jute Sheets find their application in the manufacturing of different kind of handicrafts also. Our Jute Sheets being eco-friendly is available in different sizes that are measured in cms or inches and are available in various vibrant and soothing colors. We are manufacture and exporter of a wide variety of Jute Sheets that is fabricated from high quality natural fibre. Jutes are used for flexible packaging, specially sacks. Besides being used for packaging, our range of jute sheets find their application in the manufacturing of different kind of handicrafts also. Our jute sheets being Eco-friendly and easily recyclable, is available in different sizes that are measured in cm and are available in various vibrant and soothing colors.